Some of our local customers bring new ideas to us as they bring in things for us to engrave. 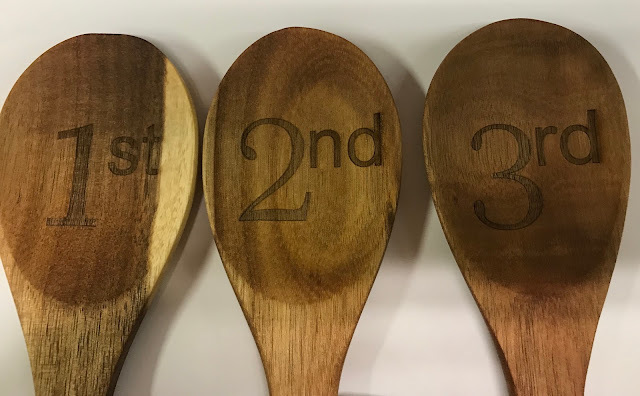 A fair is coming up and we were asked to etch in these spoons for some of the prizes. We have etched spoon handles before, but this was the first time to etch in the bowl of the spoon.